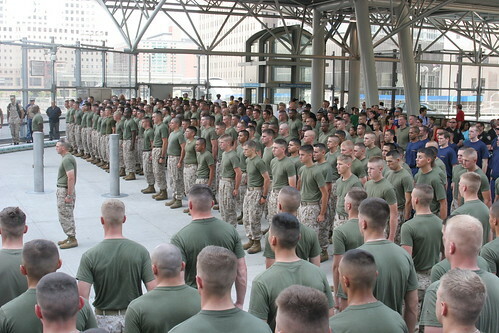 We don't usually associate the US Marines with knowledge management, but this excellent blog from Randy Garsee shows us how important knowledge is to the modern Marine. Here's a quote he includes. from Michael Crites, who was, at the time, the Marine Corps Center for Lessons Learned (MCCLL) Liaison to Multi-National Force – West (MNF-W), the force that was responsible for western Iraq. The KM system described in the blog is very simple, and easily replicated in an organisational setting. By accessing MCCLL’s secure web site, Marines make a record of combat-related events by filling out an After Action Report. The information is collected and analyzed. The lessons learned from that particular battle or event are extracted and published once a week. A Marine that comes to war studies Lessons Learned, studies what his predecessor did before him, and so gets ready for deployment.